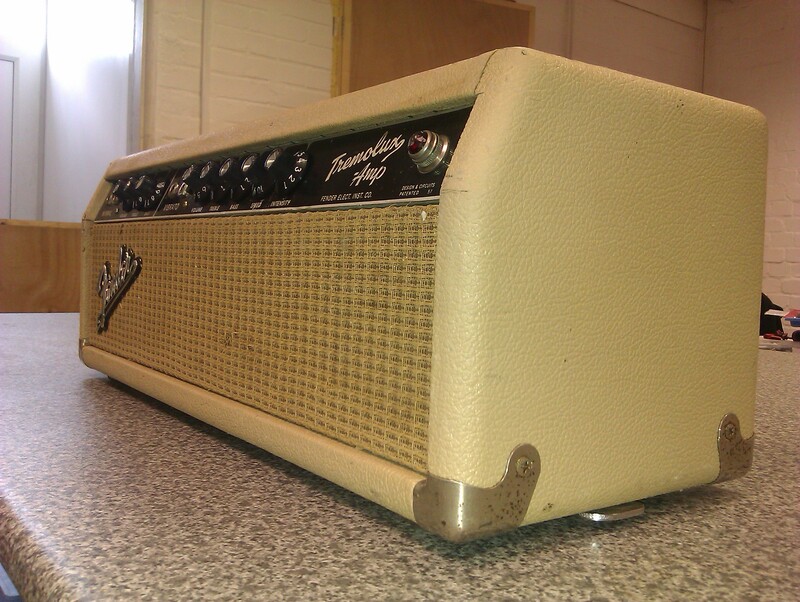 1963 Fender Tremolux. This is a piece of tone heaven. Brought in to have the tremolo circuit repaired and a service, and now in fine fettle, this amp sounds superb. Delivering 35 watts from a pair of 6L6’s, the Tremolux delivers a great warm and rich sound, with wonderful soft distortion when pushed hard.